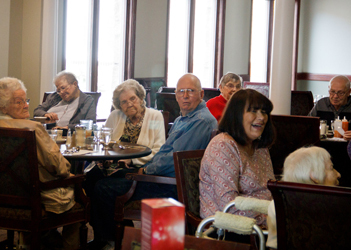 WestRidge is a Retirement Community with a philosophy of providing seniors with an alternative life-style. This lifestyle enhances the retirement years by offering a worry free, stress free environment. Our professional staff is there to assist, if assistance is needed, while active seniors are encouraged to enjoy their daily lives taking advantage of worry free maintenance, snow removal and lawn care; just a few of our many services. Studies have shown that individuals who reside in retirement communities live longer, healthier, richer lives. WestRidge is a beautiful asset to the Girard Community and the surrounding area. © Copyright 2019 WestRidge Assisted Living | Web Services by Craw-Kan Telephone Cooperative Inc.